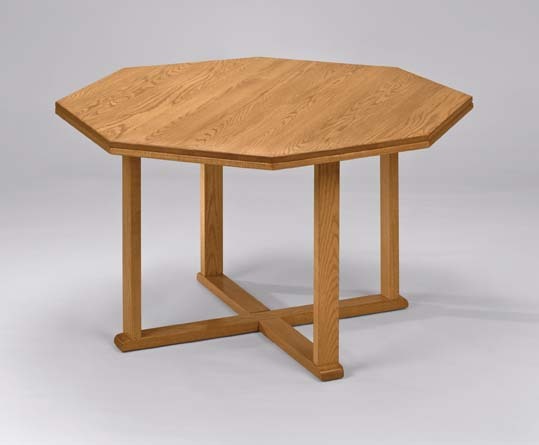 The Octagonal Conference offers handcrafted solid oak including solid oak table tops for structural integrity and enduring beauty. Conference table tops are one piece construction, including 96" and 120" tables with step hand rubbed finish. Matching solid oak chairs available with or without casters. Overall: 42" x 42" x 29"